Melitta Schiffer (nee Dickstein) was born in Trieste (then part of the Austro-Hungarian Empire) in 1900 to Jewish parents from Bukowina. Upon the outbreak of the First World War her father was drafted into the army (subsequently losing most of his eyesight) and she moved with her mother to Weimar in Germany. She painted from an early age and went on to study at the Weimar academy of arts for five years including during its merger in 1919, under the Head Walter Gropius, when it became known as the Bauhaus. 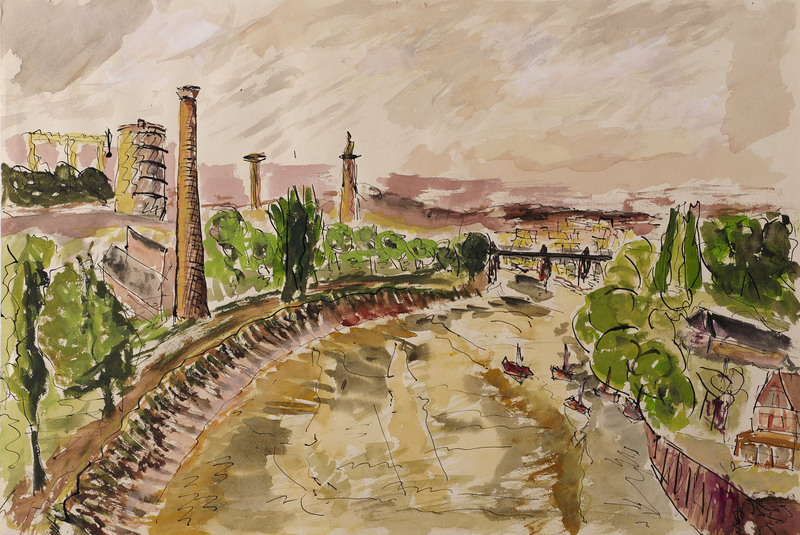 In 1921 she married and moved to Thuringia, but following Hitler’s accession to the Chancellorship in 1933, fled with her husband and children to Palestine in 1936, via Berlin, where held her first solo exhibition in 1935 at the Jewish Museum. 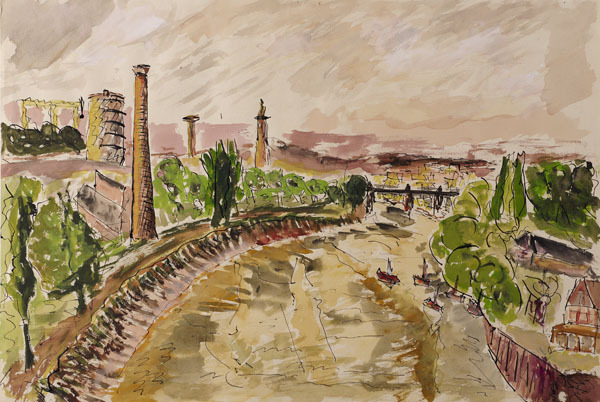 In 1951 she studied in Europe and exhibited at the Israeli Club in Paris, later moving to Haifa, Israel, becoming one of the first members of the Artists’ Village, Ein Hod, founded by Marcel Janco. In May-June 1962 Ben Uri held a joint exhibition of her works with those of Shraga Weil. Melitta Schiffer died in 1991.